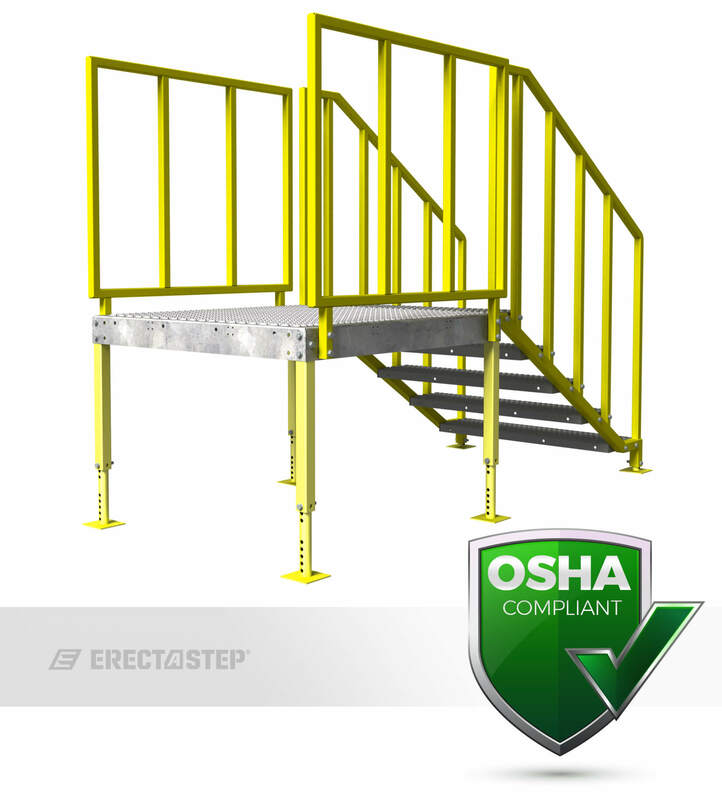 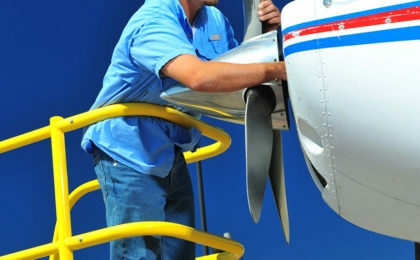 This configuration of ErectaStep’s portable metal stairs has a direct approach entry. 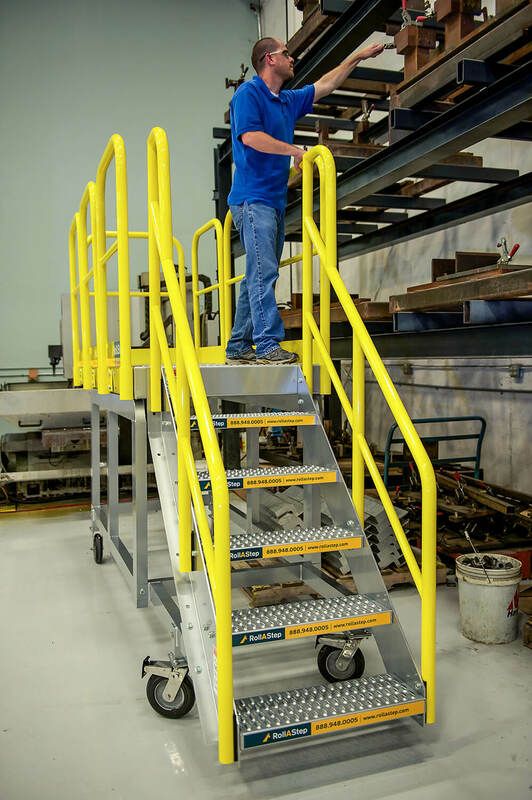 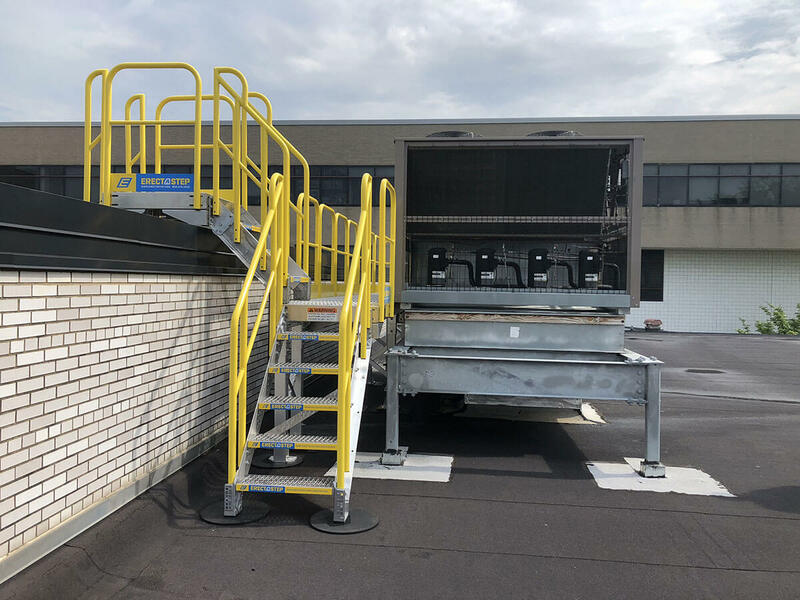 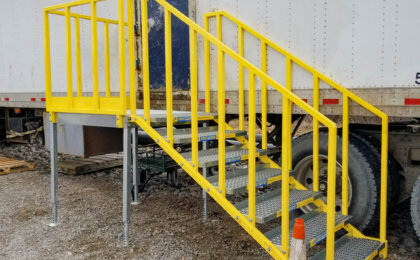 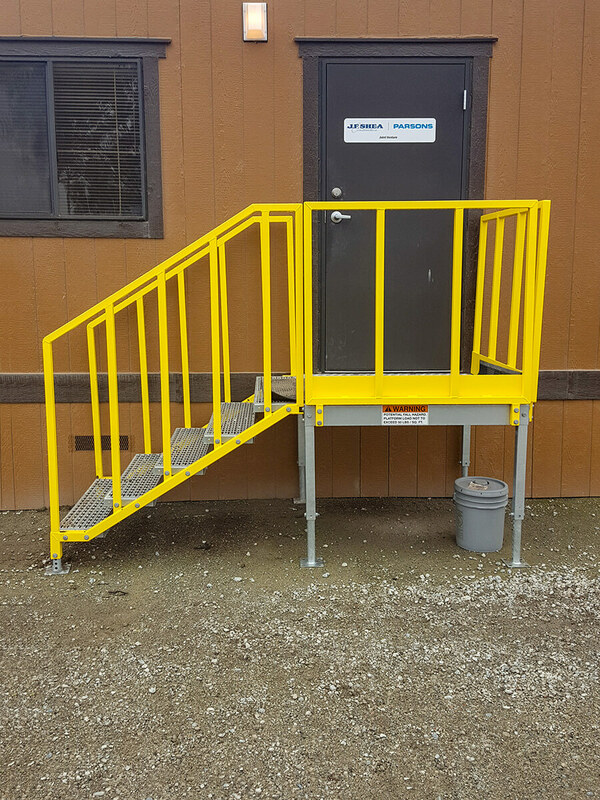 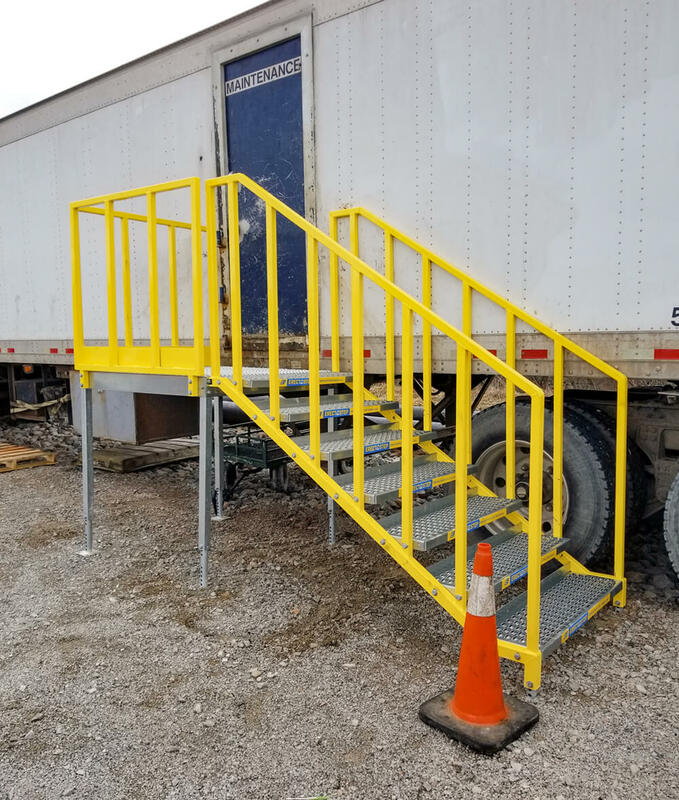 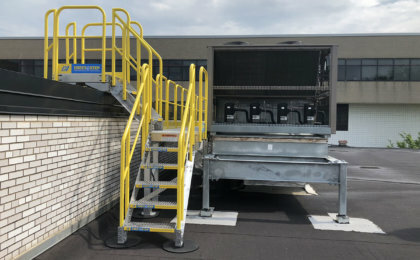 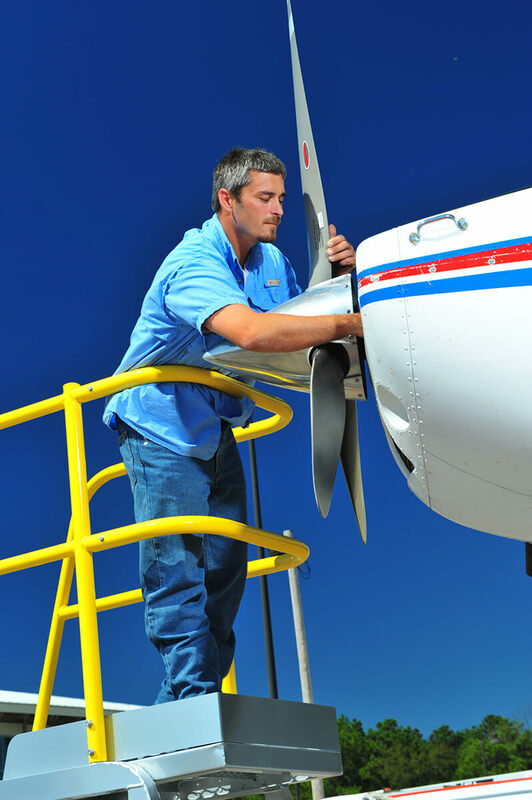 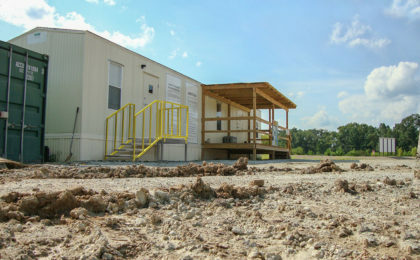 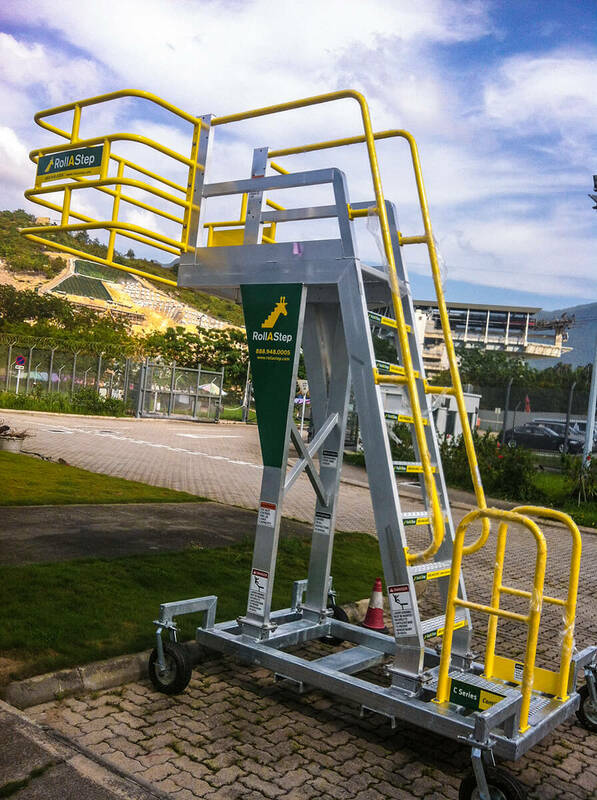 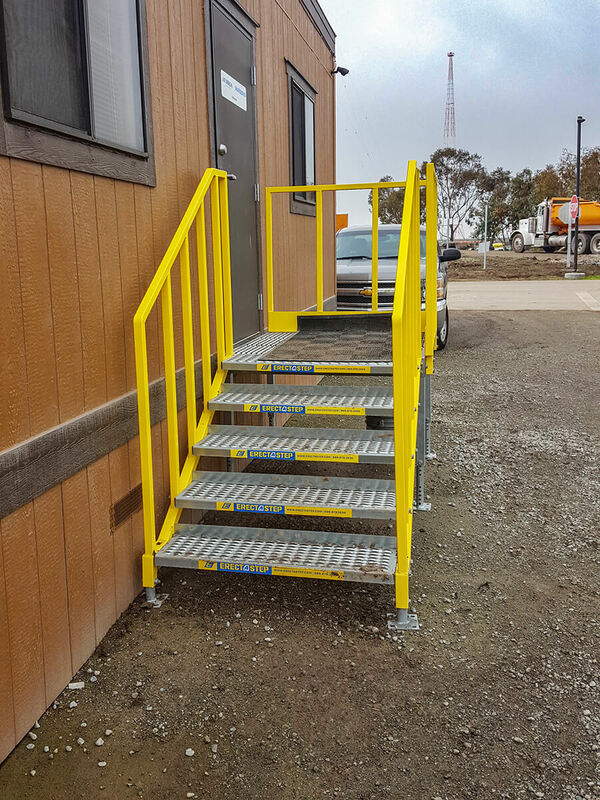 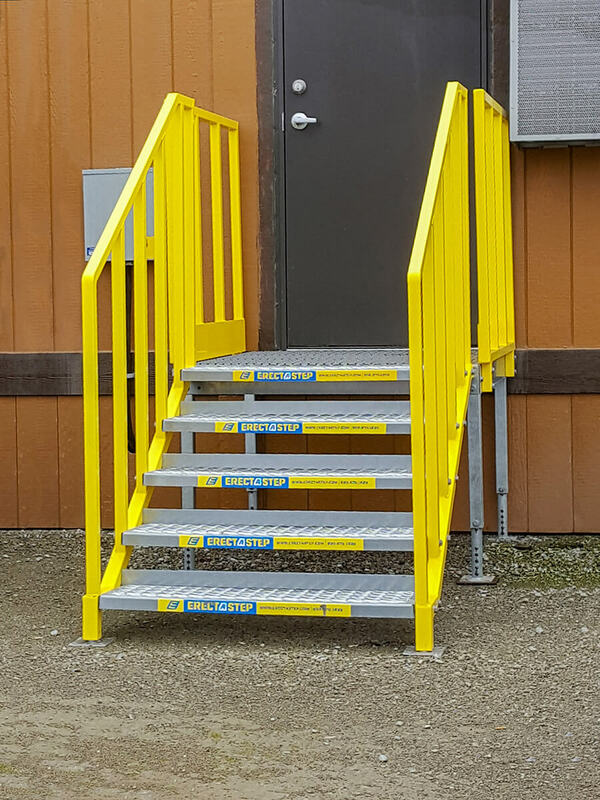 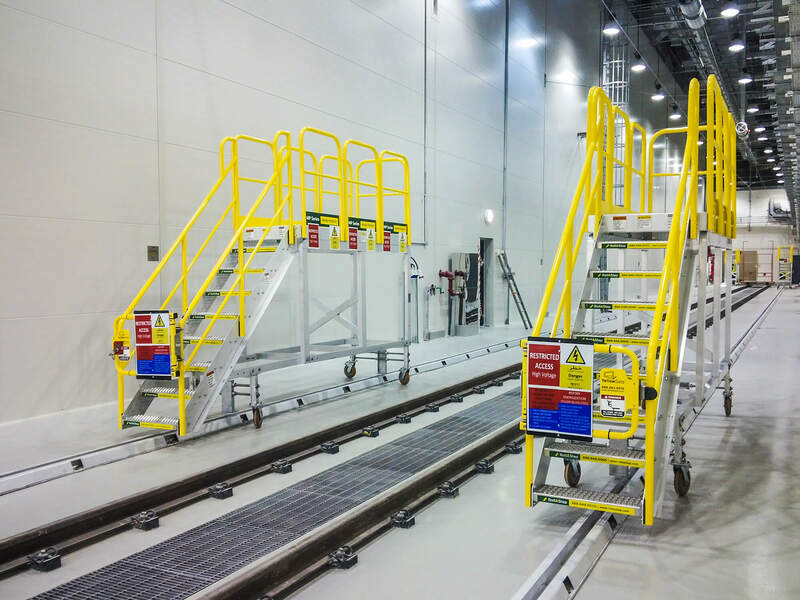 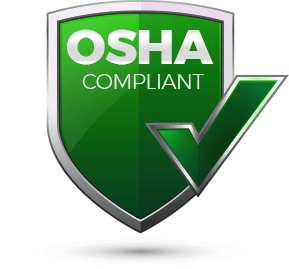 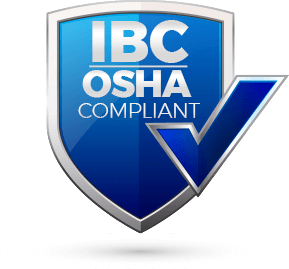 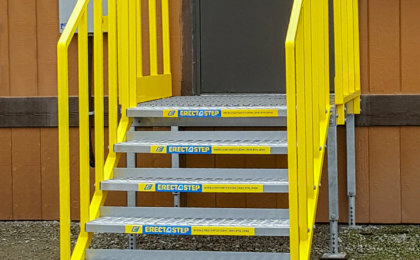 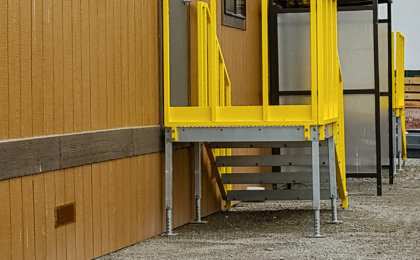 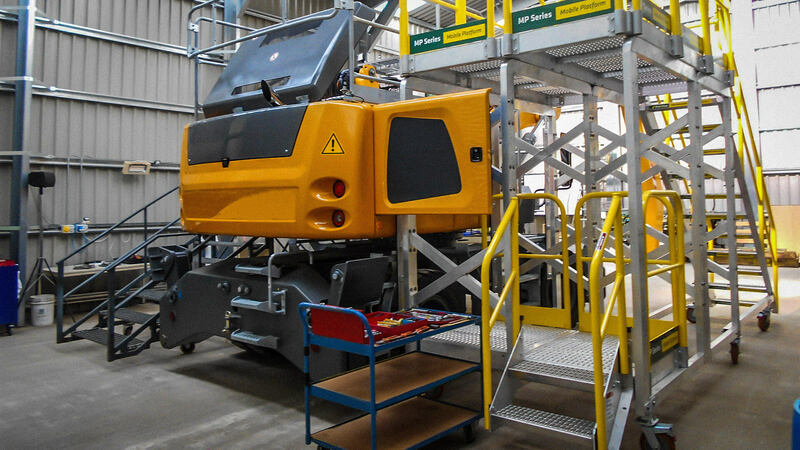 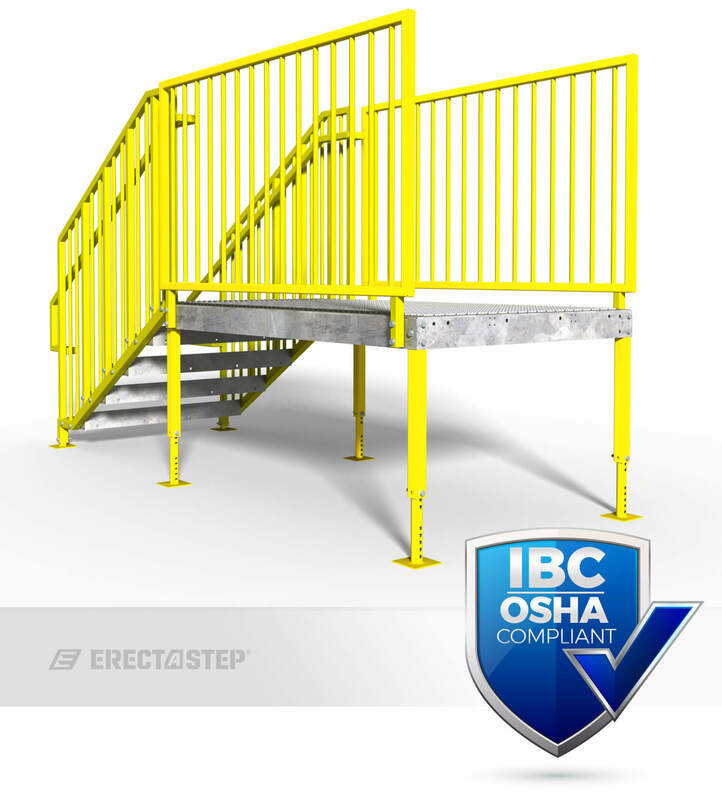 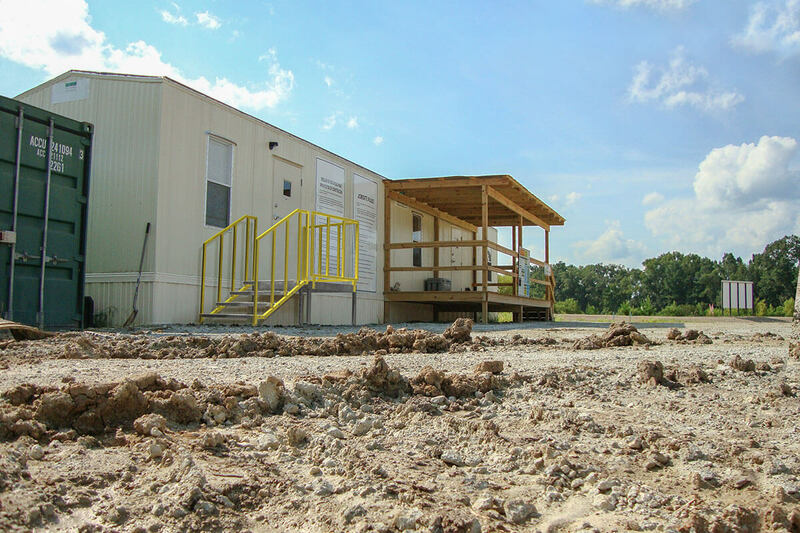 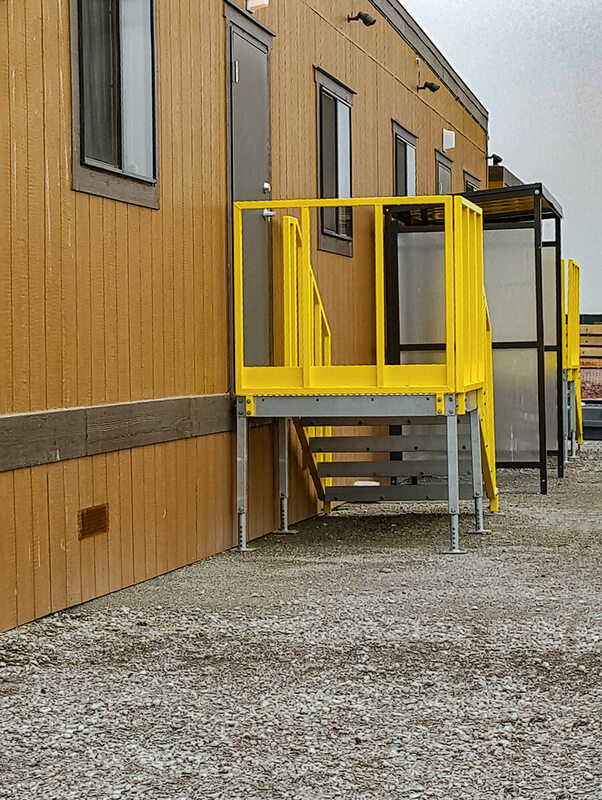 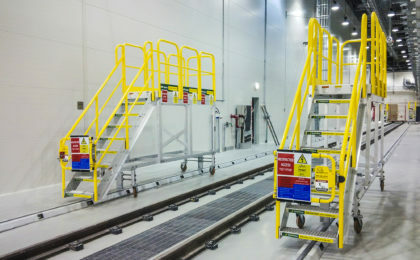 While this is a base installation, it can be configurable and customizable for many solutions and provides a fast options for temporary or portable metal stair needs. 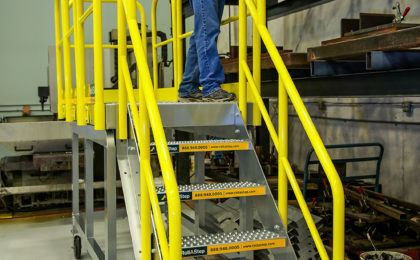 See our other configurations of portable metal stairs.